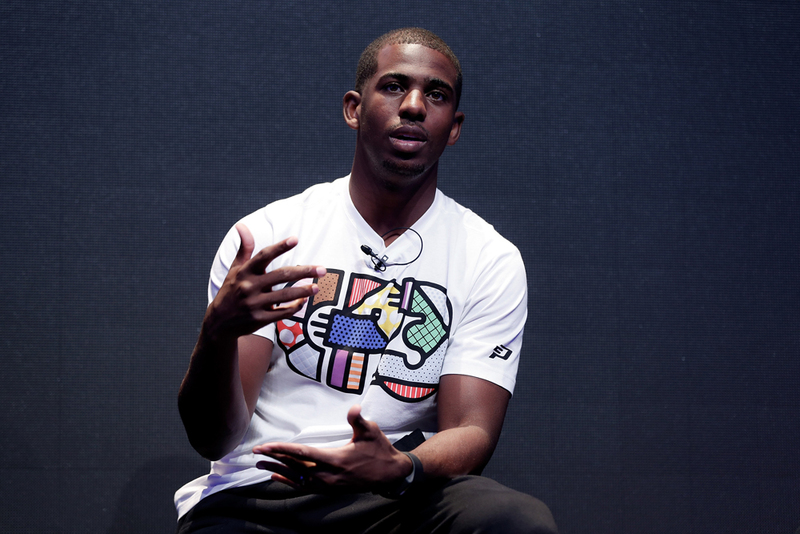 We all know that Chris Paul is one smooth fella on the basketball court, but did you know he’s just as smooth off? We’re here to tell you why the 28 year old Jordan Brand athlete is one of the most stylish dudes in the NBA. But what exactly sets CP3’s style apart from his peers? For one, CP3 understands the importance of dressing appropriately for the occasion. He is always clean-cut and dapper for formal events, not trying to get too crazy with overly loud colors and accessories. Just simple, classic, and clean. When he doesn’t have to get all dressed up for an classy event, you can usually spot him sporting the Jumpman. To or from the gym, you can bet he’ll have on a pair of Jordan basketball shorts and a training shirt. For casual events, you’ll probably see CP3 rocking a semi-tight fitting tee with jeans and his signature sneaks or in a Jordan hoodie with retros. Chris’s has dialed in his athletic-inspired retro style, and that is why he’s one of our top Style Icons.